This year marks the tenth anniversary of Earth Hour, an annual bid to raise awareness about global warming caused by the burning of coal, oil and gas to power cars and power plants. 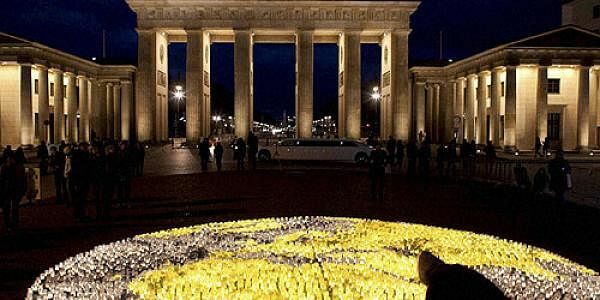 PARIS: From Sydney to New York, cities and monuments will dim their lights on Saturday in a show of solidarity against the threats being faced by the planet from humankind. Since it was first held in 2007, in Sydney alone, great strides have been made in highlighting the dire state of the planet, according to the conservation group WWF, which organises the event. Earth Hour, said its coordinator Siddarth Das, must show that "each individual can help turn the page towards a sustainable, climate-resilient future for all." Following the path of the sunset around the world, Saturday's events (between 8.30 pm and 9.30 pm local times) will kick off with the Sydney Opera House dimming its lights, then move westward through Asia, Africa, Europe and the Americas. Monuments including the Empire State Building, the Kremlin, Big Ben, the Tower of Pisa, the Eiffel Tower and Egypt's pyramids will go dark to mark the event. Lisbon will host a concert by candlelight, Singapore will hold a "carbon-neutral run", and Tanzania will organise a tree-planting ceremony. Homes and businesses are also being asked to join in, and individuals can commit to the cause on Facebook. Last year, scientists recorded the Earth's hottest temperatures in modern times for the third year in a row. Nations agreed in Paris in 2015 to limit average global warming to two degrees Celsius (3.6 degrees Fahrenheit) over pre-industrial temperatures. That is the level at which many scientists say humankind can still avoid worst-case climate outcomes in terms of rising sea levels, worsening droughts and floods, and increasingly violent superstorms. "Climate change is visible proof that our actions can have a ripple effect beyond physical borders," Das said. "It is up to each of us to ensure the impact we create helps instead to improve the lives of those around us and elsewhere, at present and in the future."